This last weekend, I was so excited to finally be getting up to the Roots School in Vermont. 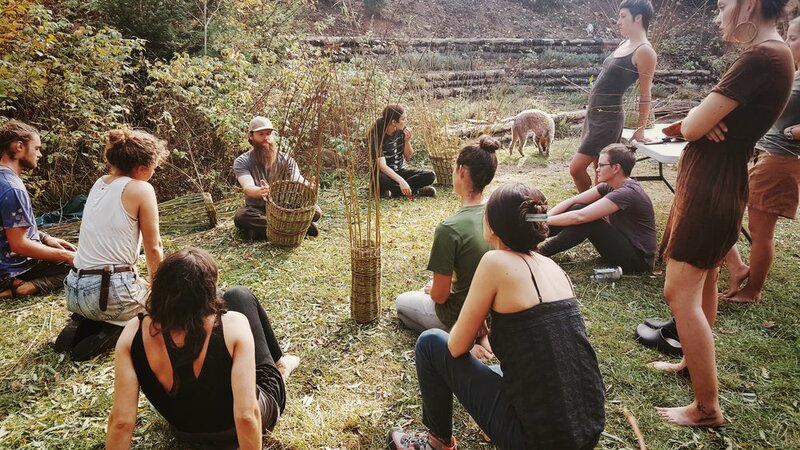 The class was two days of making willow baskets with Nick Neddo. Nick is an awesome artist and all around cool guy. 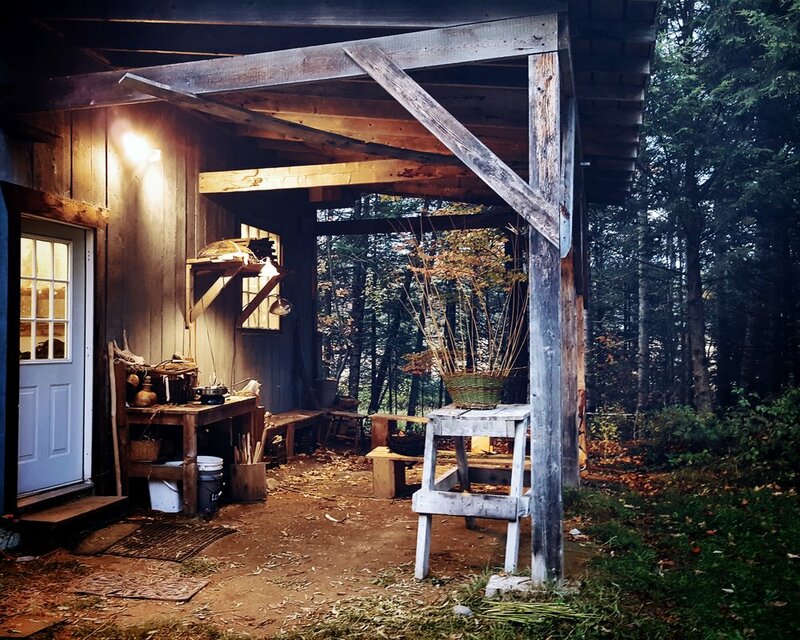 He is very knowledgeable about a range of different skills, and he even has a book, which I highly recommend for anyone interested in using natural materials for creating drawings and paintings, The Organic Artist. The school was just great! Everyone there is super interested in learning new skills and working with natural materials. They are so organized and everything is so easy to find. There is one main building for holding classes because most of the work is done outside, and they offer camping to students if you need it. I decided to go that route since I only needed to stay one night. 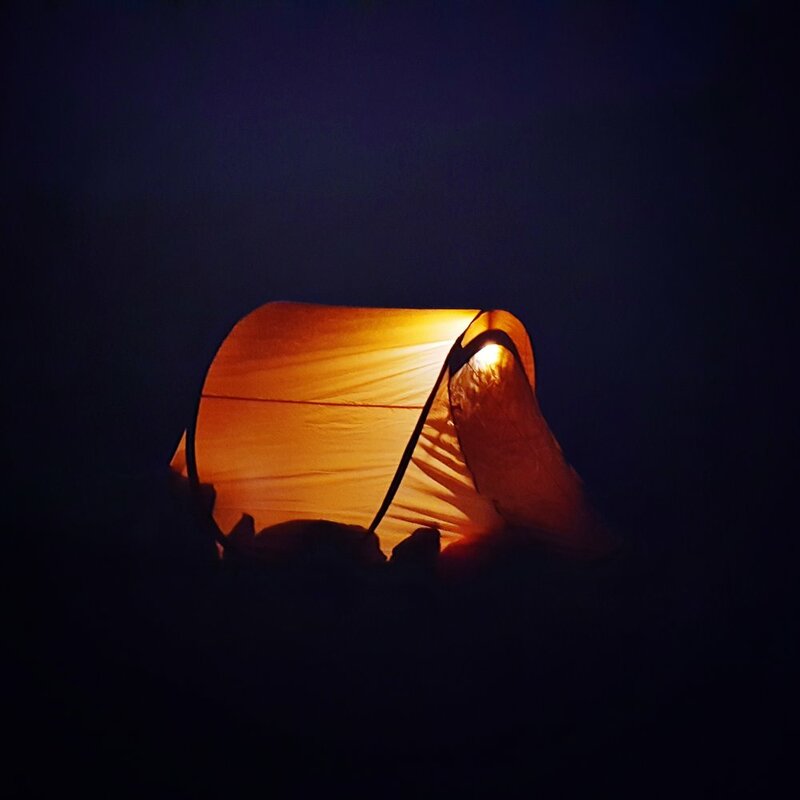 The majority of their classes are in the "primitive skills" category and there was a small group there that weekend that were getting ready to go out for a week to learn about wilderness self reliance. It's a little different then the schools I have been to, which I would put in more of a "Crafting" category. I think I probably say that I'm so inspired by all these places, but this one really got my interest. Self reliance, permaculture, primitive skills and so on, are all major areas of interest for me. So needless to say I don't think this will be my last trip up to this school. In this class we were going over the basics. You might say I don't need the basics, but who doesn't like a refresher. We learned stake and strand round work. But the difference for me is that I normally don't work with fresh willow. 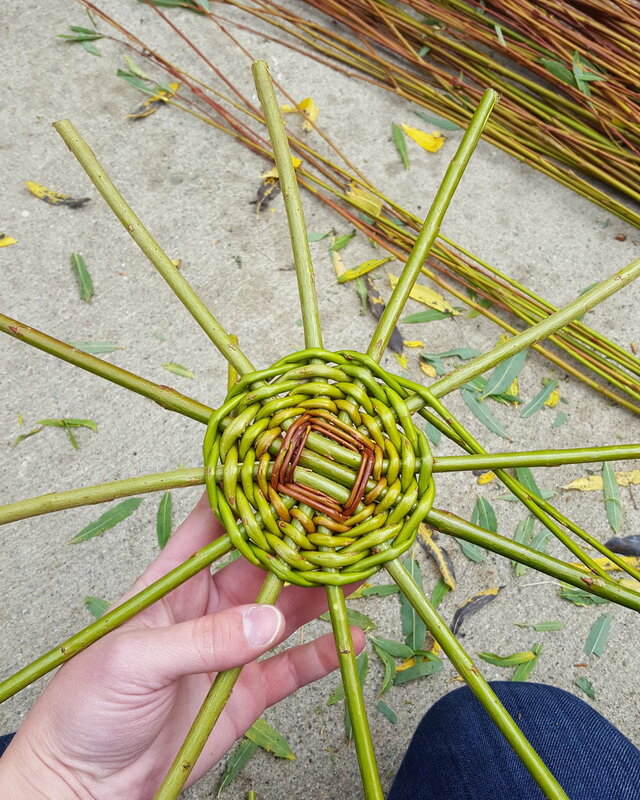 My last class with Jo Campbell-Amsler was my first introduction to using fresh willow, so it was great to work up a stake and strand basket with it as well. To be honest it is probably a great way for beginners to learn because it is quite forgiving. I felt like the fresh stuff gave me a good sense of how far I could push the material, either that or I'm just getting to a point where I've learned the material well enough. It didn't kink as badly as I remember working as a beginner with dried willow. It was a really big class but it was awesome to meet and work with so many people with similar interests as my own. Conversations flowed so nicely, and two of the girls I met are actually massage therapists as well. Needless to say I was among people to love to work with their hands. The baskets below are the ones I made over the two days. 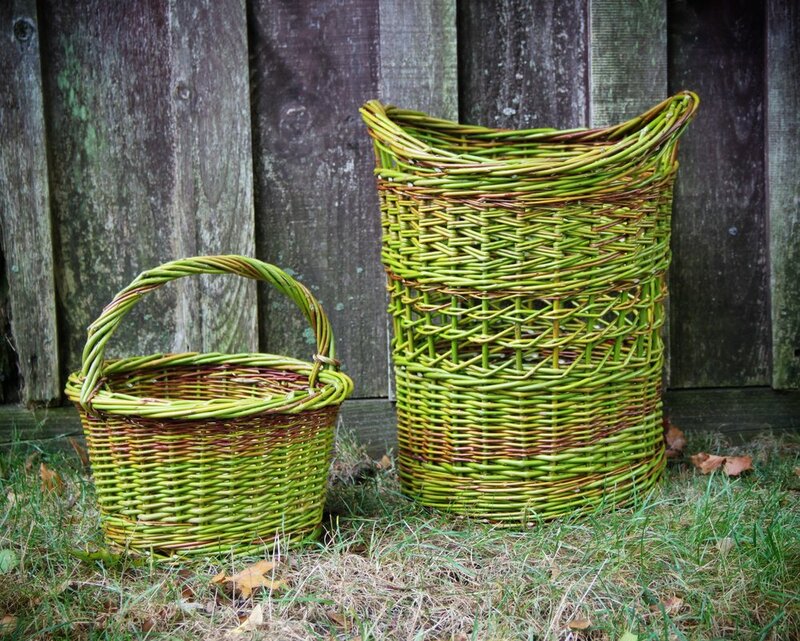 I had so much fun practicing a lot of the techniques that I learned over the years with other basket makers. I learned a new appreciation for adding a foot to my baskets. Something I might now do more often in my work. I'm really also very interested in finding out how these baskets dry. Working with fresh stuff, the challenge is that it shrinks alot. But its the time of the year when the sap is down so I have a feeling these two are going to work out just fine.